We approach every one of our challenges with an open mind, extensive training, infinite experience, and a general enthusiasm for what we do. As a result, you'll be able to enjoy the advantages of a dedicated team, one that's well rooted in a foundation of integrity. Be sure to check back with us regularly, for updates on what we're willing to offer customers both new and old. We'd also like to fill this page with frequently asked questions that we've encountered in the business, giving you a better indication of what you should be expecting from quality builders like us. Q: What does Milestone Builders offer? A: Milestone Builders is an Industrial/Commercial Design-Build construction company that specializes in all activities from Conceptual Planning thru the Approval and Procurement stages and ultimately to the Final Occupancy of your new milestone. Q: What makes the Design-Build process superior to traditional methods? A: Design-Build method of construction shortens the overall construction project duration and allows for fast-track construction methods that permit the owner more involvement in the design and selection processes. The entire building process is typically shortened up to six months and allows the contractor's unique costing capabilities to determine design parameters that keep the project within the owner's overall budget. 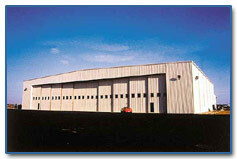 Q: What does Robertson Building Systems offer? A: Milestone builders and Robertson Building Systems have partnered to bring you the most cost effective and quality controlled way to expand your business. Robertson's pre-engineered structures offer unparalleled possibilities stemming from their State-of-the-Art Design and Pricing System to their outstanding Engineering and Fabrication facility located in nearby Hamilton, Ontario. Q: What about planning for future expansion and growth? A: Milestone Builders can help analyze your current situation and recommend a scope of construction that will position your company for the future. A: Milestone Builders will establish a commitment free estimated budget or quotation as based upon your needs. When necessary, you may enter into a low cost preliminary design stage that will allow you to financially benefit from this process. Q: Why choose Milestone Builders? A: Milestone Builders was established with years of experience and a time tested philosophy - "Honest business practices will only result in more business." That is why we offer a list of satisfied customers for your review.